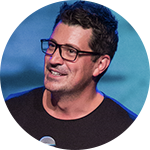 Thomas serves together with his wife Katherine as the Lead Pastor of Hillsong Church Denmark, a vibrant, growing church in the heart of the city of Copenhagen and with locations in Malmö, Sweden and Aarhus. A gifted speaker and preacher of the word and a leader of leaders, Thomas is committed to seeing people find Jesus and empowering people to reach their potential and bring the message of Jesus Christ to their world. He moved to Sydney, Australia in 2001, where he studied his theology degree and later became church staff within our youth and young adults ministries. In 2012, he moved back to his homeland, where he and Kat are now building an incredible church in Copenhagen. He is the proud father of three princesses: Sienna, Evie & Isabella. Thomas is passionate about family, football (Man U since ’92) & people finding Jesus! Why not grow your NO, so you can bless your YES? !